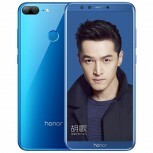 Huawei held an event in China where it announced the Honor 9 Lite - a more affordable variant of the Honor 9. 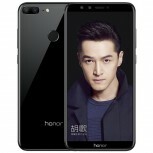 The Honor 9 Lite will arrive with 5.65” 18:9 screen with FullHD+ resolution. It has dual cameras on both sides and comes with the latest Emotion UI, based on Android Oreo. The Honor 9 Lite runs on a Kirin 659 chipset with octa-core CPU, clocked up to 2.36 GHz. It has either 3 GB or 4 GB RAM that respectively come with 32 GB or 64 GB storage, expandable by up to 256 GB via the microSD card slot. There are 13 MP + 2 MP camera combos on the front and on the back and both of them record video in 1080p. The battery cell is Li-Polymer with 3,000 mAh capacity and support for Super Charge. Pricing starts at CNY1,199 ($182) for the 3/32 GB variant. 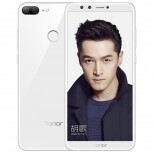 The 4/32 GB goes for CNY1,499 ($227) and the most expensive option of 4/64 GB costs CNY1,799 ($273). 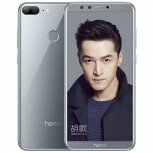 Offered in Navy Blue, Seagull Gray, Magic Nightfall (read Black) or Pearl White, the Honor 9 Lite will arrive in China on December 26. India, Russia, and UK will also get the device soon.